Happy dance!!! This was my first ever Nerd Lacquer. It is called Warrior Ethos. GORGEOUS. In the shade it is a super dark raspberry jelly. In the sun, it is a a juicy red jelly. The glitter is suspended well, lays flat and spreads fairly even. It went on like butter in two freaking-fabulous coats. They are topped with SV. Warrior Ethos is described as "a bright blood red with black, iridescent, copper, and red glitter, plus medium black hexagonal glitter and large copper hexagonal glitter. 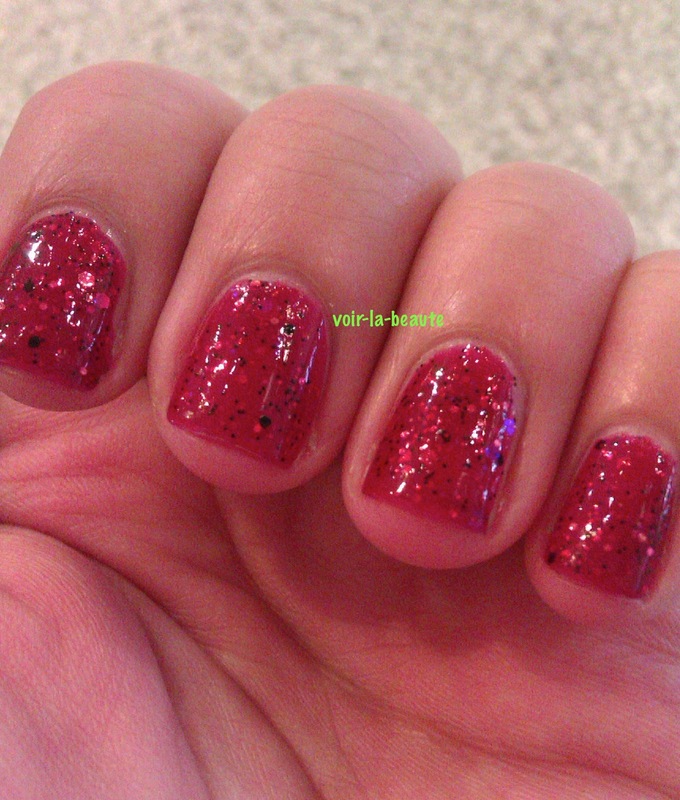 Opaque in two coats, or great as a top coat over your favorite crimson" (Nerd Lacquer). Remember to click on the pictures to enlarge them and see all of the juicy goodness! Nerd Lacquer is sold by Amanda at her Etsy shop here. They can also be found on Harlow & Co. She bases her colors on sci-fi shows and such. She even has a line based off of the Firefly series/Serenity movie. I might have to get those soon! She is a bit behind in orders, but she opens her shop as soon as she is able. Indoor lighting, no flash...when I had nubbins! 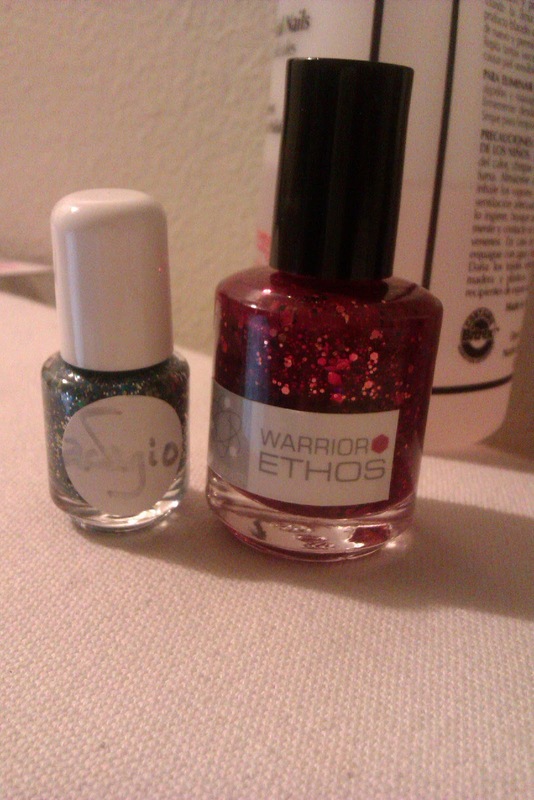 "Sorry for the Late" color - Adagio and Warrior Ethos bottle shot! So, what do you think? I have seen swatches of her other colors and they all look amazing. Check them out!! !